Give it the SportsPongTM treatment! Just soak, then wash. NO SWEAT! Kind to your skin, your clothing and the environment! We all have problems with smelly sports kit. Be it gym clothes, running kit, running shoes, cycling kit cycling shoes, wetsuits, ladies sports bras, boxing gloves, yoga and stretching mats, to name a few. SportsPongTM pre-wash soak is the answer! 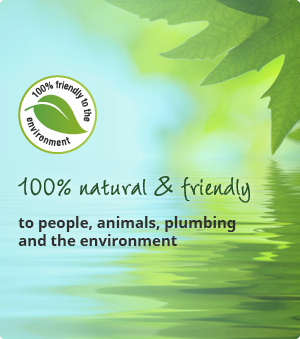 Our product is specifically formulated to remove sweaty odours and is 100% natural, organic and biodegradable. Why do my gym clothes smell so bad and how can I get rid of that BO stink? The problem often occurs after normal wash where you put on “fresh” kit and within minutes it has started smelling! This is caused by a bacteria called “micrococcus” which occurs naturally on our skin and in the environment. Phd research had shown that this tiny bacteria, for some reason, thrives in the fibres of sports kit and is extremely difficult to remove. It can survive temperatures up to 80°C – which in itself is a problem as we normally cold-wash our sports kit! Washing machines generally only reach 60°C and we cannot iron this type of fabric. The only way to remove this bacteria is to introduce bacteria and enzymes that will supplant the odour-causing bacteria, thus removing the source of the smell. 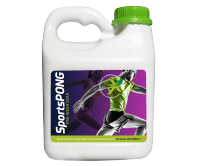 SportsPongTM is a unique and highly specialised blend of bacteria and enzymes designed to remove the odour causing bacteria found in sports kit. SportsPongTM is a unique and highly specialized blend of bacteria and enzymes designed to remove the odour causing bacteria found in sports kit. Extreme enzyme action removes stubborn odours normal washing can’t. pecially formulated to remove sweaty malodours from Lycra-Spandex garments. 100% natural, organic and biodegradable. No harsh chemicals, so no damage to your clothing. It’s kind to your skin and the environment. SportsPongTM is a proudly South African product and is currently available from selected sports stores and online. Dilute 50ml SportsPong per 2 liters of clean cold water and soak problem item for 24 hours. (Do not place solution in direct sunlight). Wash thereafter in a normal wash cycle using usual detergent but avoid fabric softener. The process may need to be repeated for stubborn odours. For tough areas, like underarms or collars, spot treat with concentrated product and allow 15 to 20 minutes contact time before soaking the whole item. If contact occurs with sores, cuts or eyes wash liberally with water. May cause irritation on sensitive skin i.e eczema sufferers and asthma patients . Avoid inhaling fine mist when using as a spray application. A clear liquid, free pf phosphates and phenols. Contains food grade enzymes, amylases, proteases, lipases, perfume and non-harmful bacteria, stabilized in an aqueous medium.